Heel Height: Approx. 2Â¾" Tall. Star is a leather slide loaded with subtle design features including top stitching, brass studs, partial leather wrapped outsole, just to name a few. A well padded insole with a polyurethane outsole provides outstanding cushion, flexibility and support. Star-shaped printed laser-cut leather peep-toe sandal on a cork-inspired textured wedge. Heel Height (approximately): 2 1/4", 1" platform. 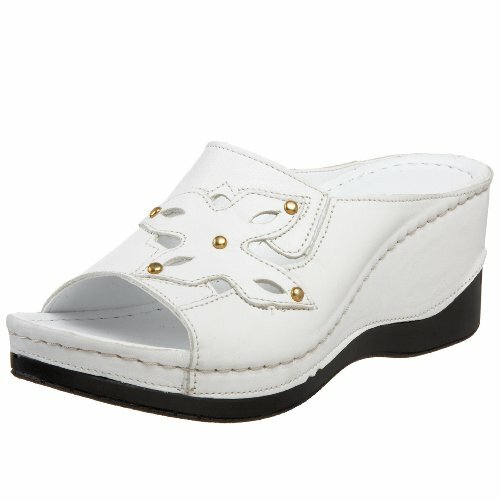 Features: -Genuine Italian leather upper, high shine metal buckle. -Adjustable strap with a buckle closure. -Unlined. 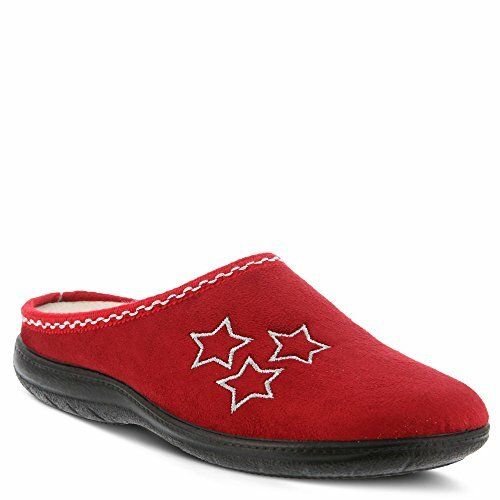 -Synthetic leather padded insole. -Polyurethane outsole.